Two day training workshop on “Basic First Aid and Life Support System” was organised by the Field Work Unit, Department of Social Work, Central University of Jammu in collaboration with Indian Red Cross Society (IRCS), Jammu Region on 30th & 31st January 2019 at Brg. Rajinder Singh Auditorium in the University Campus. The objective of the workshop was to enhance the knowledge and skills of social work students through first hand practical training to save lives in emergency situations and during community outreach and field activities. The workshop was inaugurated by chief guest Prof. Ashok Aima, Hon. 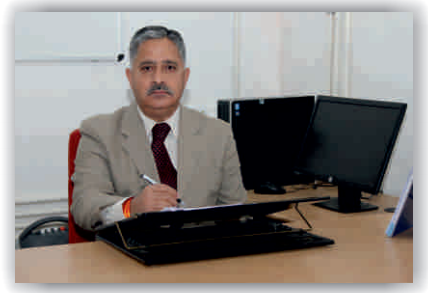 Vice-Chancellor, Central University Jammu in the presence of Shri. Dinesh Gupta, Hon. Secretary, Indian Red Cross Society, Jammu Region, Dr. Vijayata Puri, Medical Officer, CU Jammu, Dr. Dharmendra Singh, HOD, faculty members of Dept. of Social Work- Dr. Nancy Mengi, Mr. Bhat Iqbal Majeed, Mr. Vinay Kumar, Dr. Ranvir Singh, Ms. Yangchan Dolma and Students. The Hon’ble VC Prof. Aima shared his thoughts on the importance of the subject and congratulated the department of social work for organising the workshop. He further suggested having a Memorandum of Understanding (MoU) with ICRS for future community engagement activities. Dinesh Gupta, Hon. Secretary ICRS emphasised on the relevance of the subject in current time across the world and crucial role students of social work can play. He expressed happiness over having a Dept. of social work at Central University Jammu, which will boost skilled manpower of professional social workers in Jammu region. During the various sessions, Dr. Shelly Mahajan (MD Anaesthesia) Senior Consultant, and Miss Veronica Marwah, Field Officer, from ICRS deliberated on Cardiopulmonary resuscitation (CPR) with first hand practical learning sessions. Mrs. Kanchan, Pharmacist elaborated on wounds, haemorrhage and basic first aid equipment to students. Dr. Bias Dev, ICRS explained the various methods to handed fractures, rescue, and transportation of patient and use of local resources during disaster along with practical field activities. Dr Rajinder Thappa and Dr. Ranbhushan discussed with students first aid methods to save lives during poisoning, snake bites, stings situations. The students were provided with requisite theoretical and practical inputs to handle real life emergency situations. Dr. Harpreet Singh, Medical officer, CU Jammu also highlighted the benefit of the training to the students and shared tips on first aid to students. Valedictory session was chaired by Prof. Govind Singh, Dean, School of Social Sciences, Central University of Jammu and Dr. Dharmendra Singh, HOD, Social Work. They congratulated the student on completing the training successfully. Mr. Vinay Kumar, Field work Coordinator, Social Work, delivered the vote of thanks.